Settle any conflict between style and function with the boys' Burton Fray Jacket. 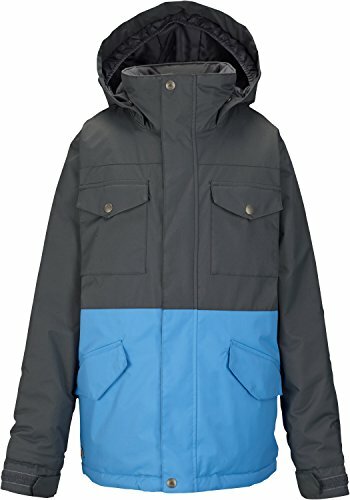 Print and colorblock choices give you a myriad of style options, while stormproofing is built to last for kids who spend all winter outdoors. Targeted insulation keeps groms warm in all the right places while promoting mobility for strapping in and shoveling. Plenty of room to stash your stuff in the chest and handwarmer pockets, and a secure media pocket, helmet-friendly hood, and snow-blocking waist gaiter round out the performance of a jacket that'll work just as well at the bus stop, too.